If you are a Boonville and Columbia Infiniti driver who needs auto repair, look no further than Midwest Autoworx. Our auto mechanics have been performing major and minor Infiniti repairs since we opened the doors to our state-of-the-art facilities over 30 years ago. Our team is honored that we have earned such an incredible reputation in the auto industry from both long-term and new clients. The auto mechanics at Midwest Autoworx offer fast, reliable, and efficient services to Infiniti owners and other automobile drivers who visit our locations in Boonville and Columbia. If you need to see what’s happening with your Infiniti, we’ll take you back to our garage. If you want us to text photographs, we can do that too! Our goal is to educate customers so that they know what is afflicting their Infiniti. It’s essential for clients to stay in the loop as it’s their vehicle and knows it's secure for the roads is a must. Midwest Autoworx is so confident in the quality of our auto repair services that we offer customers a 3-year / 36,000-mile warranty on parts and labor. We invest in the highest quality of tools, equipment, and diagnostics. When you combine our warranty with the abilities of our highly capable auto mechanics, you can easily see why we are one of the most premier choices for auto repair in Boonville and Columbia. For Infiniti services, call Midwest Autoworx or schedule an appointment online. We’re located at 2001 Rangeline Street in Columbia, MO 65202 and 1300 W. Ashley Road in Boonville, MO 65233. 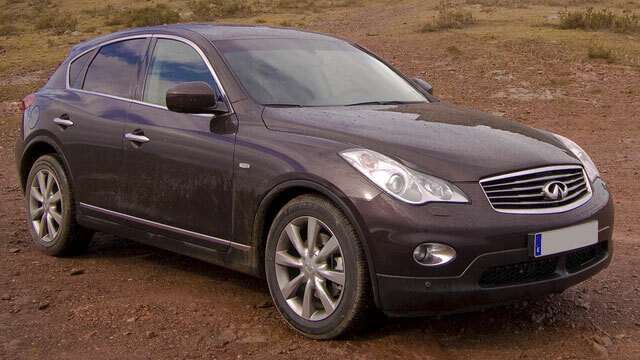 Our professional and qualified auto mechanics will provide you with the most quality Infiniti repair in the region. We look forward to your visit!